Over 40 years of history of formation and development, Faculty of political economics is a prestigious research center of the country. The products of faculty research by the state for many years and appreciate the winning research projects of state level. 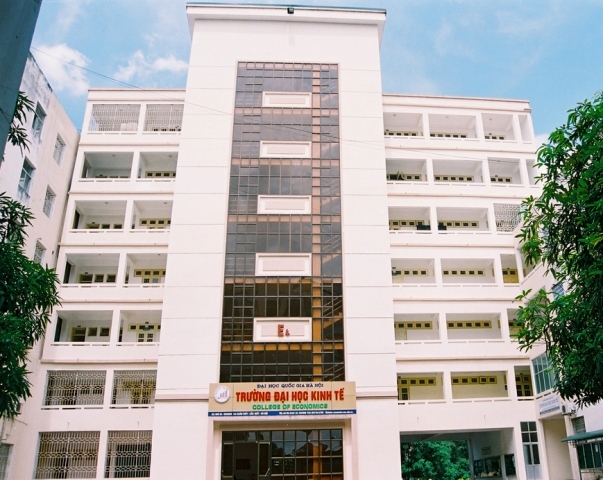 With its strengths in theoretical studies of political economy, Faculty of political economics is implementing the scientific research projects related to the economic theory of history, the economic theory of history , theories of political economy in the world today, the issue of Political economy Vietnam today, the economic issues - the current world politics and state management in the modern economy. The scientific research of faculty focuses on the issues related to the content of the subjects taught (Political Economy of economic transformation and economic reform, industrialization and modernization; The economic sectors; income distribution in Vietnam; The economic theory ...). Besides Faculty of political economics have other research going into solving the pressing economic problems of the country (Role of the State in the process of international economic integration, building economic institutions market in Vietnam; Development of science and technology markets ...) etc. First, the system of theoretical chemistry and practical solutions for service-oriented architecture (SOA) applications in enterprises and public institutions. Analyze the challenges and how to solve them in the use of SOA to optimize operational restructuring of business groups, as well as optimized operational management locally. Since then make recommendations for corporations as well as governments. Secondly, research and development promote economic Northwest: Northwest is considered a region with many conditions and the potential for economic development, thereby promoting economic development of our country over. Third, the service is considered to be one of the key industries and key in the economic development of Vietnam. So service sector research and development services industry in Vietnam in the coming time is essential.